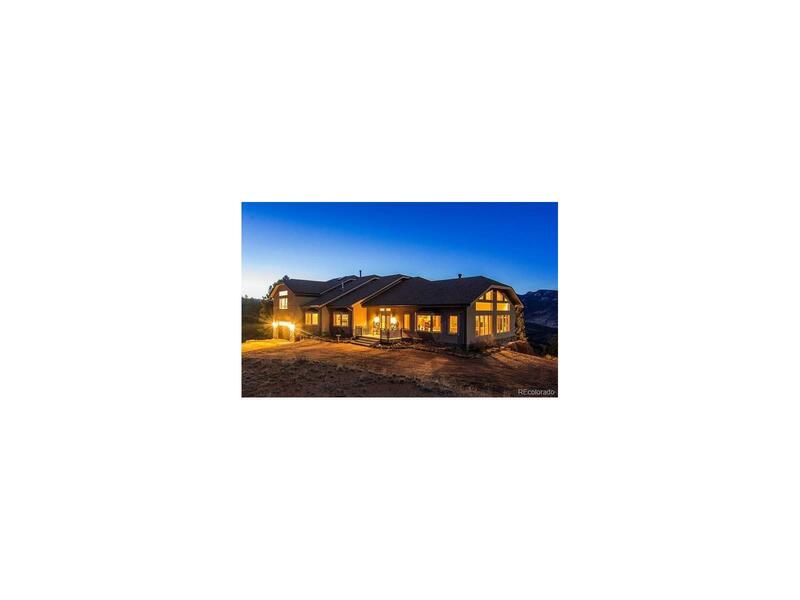 REMOTE 20 acres of mountain property with the most amazing views out every window! Borders thousands of acres of National Forest. Views of Pikes Peak, Mt. Evans, Cathedral Spire, Thunder Butte... 360Â° views, abundant wildlife and endless hiking adventures. 25 min to Conifer amenities, 45 min to Denver. Can also be telecommuterâs dream with high speed internet & cell coverage. Only 5 min from world class fishing on the Platte River. Banana Belt location sees less snow. Private gated access on 3 miles of shared dirt driveway gives it an off the grid feeling while living in the lap of luxury. This Custom built home offers dramatic architecture, vaulted ceilings, large gourmet kitchen, hardwood floors, 6+ car garages with indoor workshop. Updated with 50 year heated roof, security system, whole house water purification system, no detail spared. Almost 3000 sq ft of basement yet to be finished with 16' tall ceilings like nothing you've ever seen before.